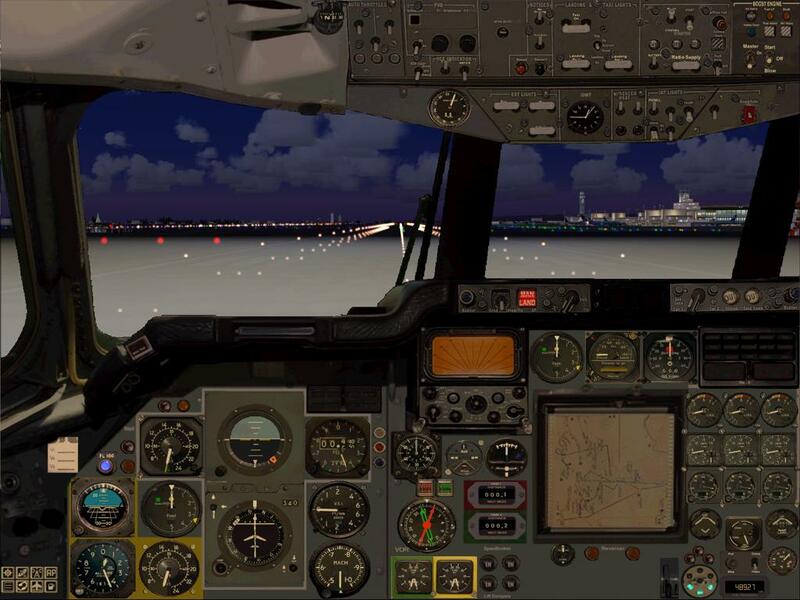 The Icons at the bottom left control various aids which most flight simmers will be used to with popups for Radio Stack, Autopilot, Fuel Panel and Engine Panel. These pictures were taken at various points in the development of the aircraft. 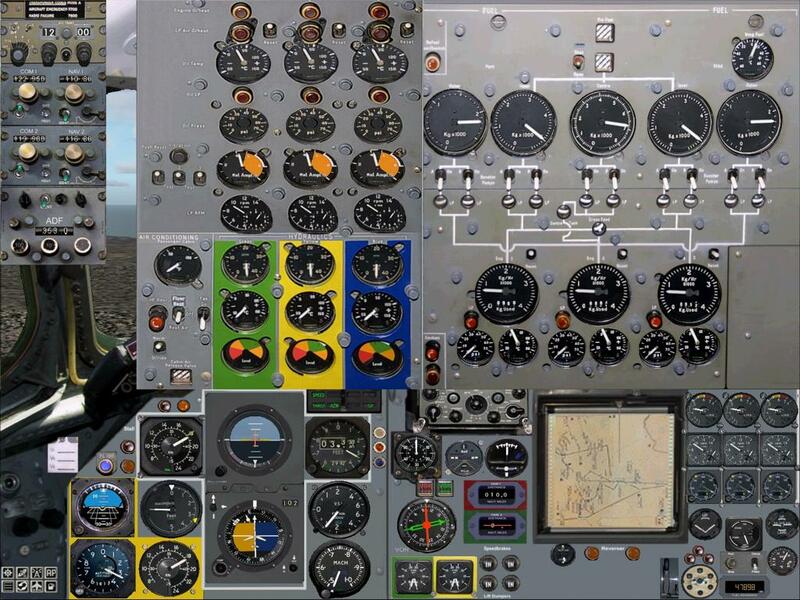 Every gauge was photographed by David Chester and their functions re-created for Flight Simulator. Everything is as true to life as far as possible within the confines of the simulation and computer screen. We reserve the right to change our simulation, panel, model, instruments and pricing without notice. Customers will always be able to download the latest version at no additional charge. Please note that all of these images are the property of David Chester and Addictive Simulations and must not be used without our consent. These images are shrunk and compressed and, therefore, lose detail and do not do justice to the original 1600x1200 resolutions. 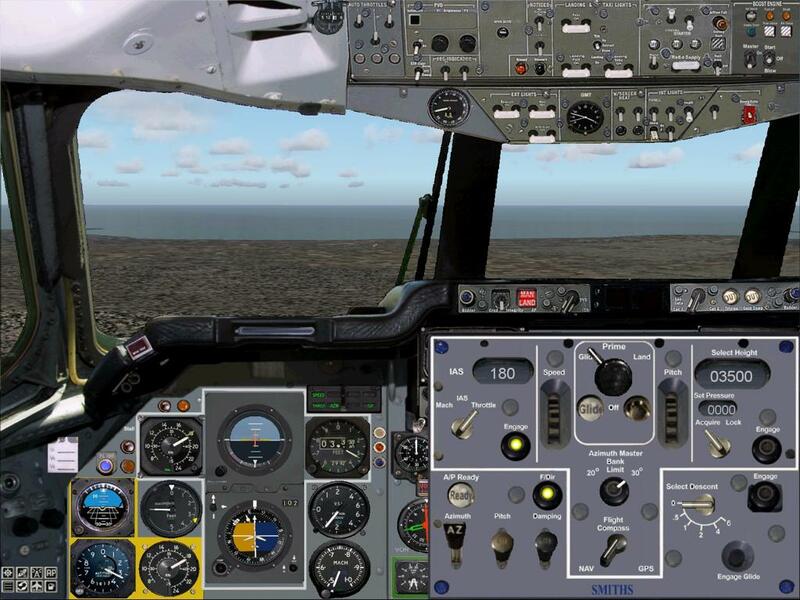 As with the VC10 we recommend 17, 18 or 19 inch monitors or larger capable of displaying resolutions from within Flight Simulator of 1280x1024 or above. Please note that the minimum recommended resolution is 1024 x 768. This is a Hi-Fidelity simulation designed to run on fast modern computers. 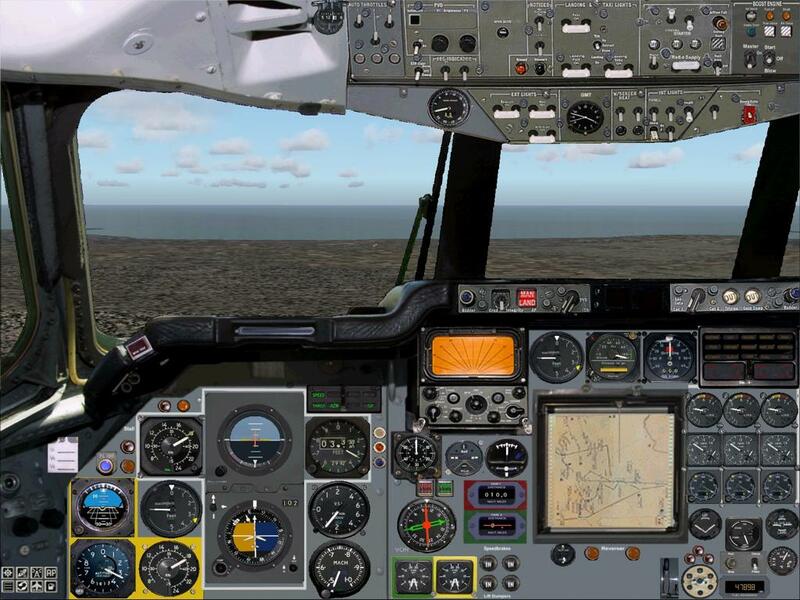 We are not catering for low resolutions, although some may feel that FS2002/4 is acceptable at 800 x 600 we do not and we have not, therefore, included any low-res bitmaps.